While fashion brand Esprit is taking steps to get back on track by exiting North America and disposing of its retail operations in a number of other countries, it still has a long way to go before it regains a steady footing. Esprit yesterday (15 September) said it will divest its North American operations, exit from its retail businesses in Spain, Denmark and Sweden, and close down certain under-performing stores worldwide. MF Global analyst Mohan Singh believes the moves will have a beneficial impact on the company's profits, which fell 98% in the year to 30 June. "Esprit has been losing money in the US for a number of years, the disposals will help the bottom line. The move is a positive step to help reduce losses," he says. Describing the challenges the retailer faced in the US, Singh says: "They brought in new management every three-to-four years, as each new strategy to establish a clear footprint in the US had not worked out." These moves saw the company shift its focus from department stores, then retail, then back to department stores again. "But they still had those retail stores because in the US they entered into long-term leases," he adds. Speaking about the motivation behind Esprit's plans to shutter stores in other countries, Singh says that Esprit struggled to gain a "critical mass in countries like Spain", where it has been "difficult to establish itself". 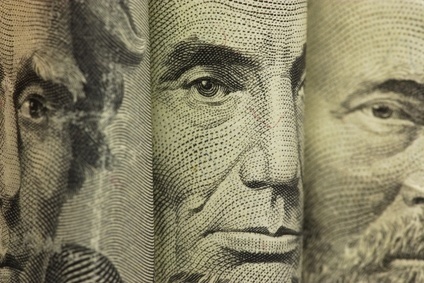 CLSA analyst Aaron Fischer suggests that further market exits could be on the cards, saying he would "welcome" any such moves, especially as the brand is loss-making in other "very competitive apparel markets such as the UK and Australia". Fischer even suggests that the brand is "not doing particularly well in less sophisticated markets such as Indonesia". While the moves were welcomed, Societe Generale analyst Anne Critchlow believes there will be a "longer wait for earnings recovery than anticipated". Indeed, the company's turnaround will be more extensive than simply exiting unprofitable markets. It will also need to transform its brand, product, channels and geographies and supply chain. Over the next four years, Esprit is planning some HK$7bn in capital expenditure, with HK$72.7bn in retail store expansion, HK$3bn in retail store refurbishment and a further HK$1.3bn in other projects. Additionally, it plans a further HK$11.5bn in operating expenditure which will include HK$6.8bn in branding, HK$3.9bn in wholesale and a further HK0.8bn in other projects. In terms of its branding, the company itself acknowledges that it has "gradually lost its soul over the past few years" and the "heritage of the brand has been neglected and the company lost its customer focus". Esprit says it is now taking "bold and decisive steps to rebuild the brand emotionally, inspired by our Californian heritage," a move that Fischer describes as "ironic" given that they have pulled out of the North American market at the same time. The fashion firm also plans to improve its collections which, it says, will be given a more "distinct and fashionable profile". It plans to re-group its divisions around women's and men's, with apparel centred around knits and wovens. It will set up a trend division in Paris and a design hub in China for the Chinese market. Esprit expects the moves will mean trends can be implemented into the collections more quickly. It also plans to consolidate all buying functions into one sourcing operation, with sourcing offices to be opened to accelerate its sourcing strategy. The moves are a positive step, as Fischer believes the company has been losing ground to some of the "faster fashion brands like H&M, Zara and Abercrombie & Fitch". 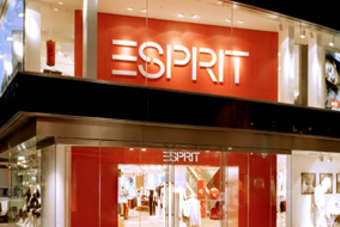 The CLSA analyst says he suspects the stay-and-buy ratio at Esprit over the last few years has been "very low" relative to other mass market apparel brands due to a "disappointing product range". In terms of geographies, Esprit said it will now focus its energies on developing higher growth and profitable markets and "avoid incurring further losses from non-performing markets and stores". Germany, its biggest market, along with neighbouring Benelux and France, are set benefit from this attention. And China, its second largest market, will also be a target for growth. Esprit says turnover in China is set to double over the next four years to around HK$6bn, with the store network increasing from approximately 1,000 to 1,900 points of sale. The move was welcomed by Singh. "While Germany is their strongest market, growth is likely to come from emerging markets like India and China. They just bought out their joint venture partner in China. They have a strong base there and they can now expand on that base," he says. The final elements of the turnaround strategy include plans to refurbish its stores over the next four years and improve its wholesale channel. Esprit is currently developing three pilot store concepts for the first quarter of the 2012 financial year, of which it will choose one to roll out across its estate. According to Fischer, in the wholesale channel Esprit plans to "eliminate unprofitable distribution accounts and recover selling space productivity through increasing sales force effectiveness and refurbishments." These significant, and much-needed changes are bound to take time, with the company highlighting that it does not expect to complete the transformation until the 14/15 financial year. Indeed, it forecasts that sales will fall 3-5% in the 11/12 financial year, with operating profit set to sit at around 1-2%. The company expects recovery to begin in the 12/13 financial year, with a compound annual growth rate of around 8-10% between now and the 14/15 financial year. "These measures need to be taken to recharge the profit potential of Esprit and to re-establish Esprit again as an inspiring fashion brand," the company explains. "With this we will bring Esprit back on track. The results of our work will gradually become visible over time, but the full transformation process will take until FY14/15 to complete."